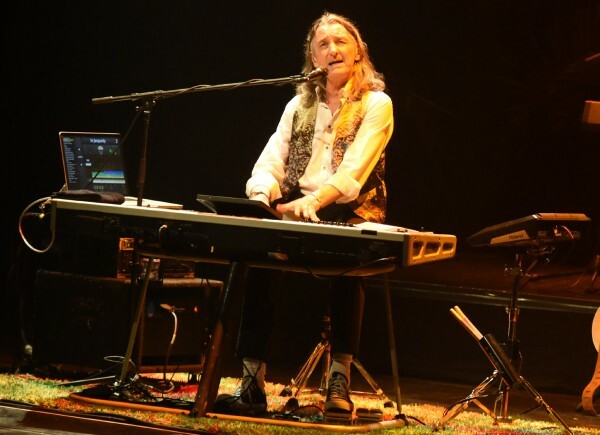 The famous Royal Theatre Carré in the Capitol of The Netherlands should be the perfect ambiance for Roger Hodgson and his band to perform the ultimate selection of Supertramp hits and of his solo recordings. The venue was sold out as could be expected and the stage looked like a podium in a luxury restaurant in the tropics, as always with Roger’s shows by the way. 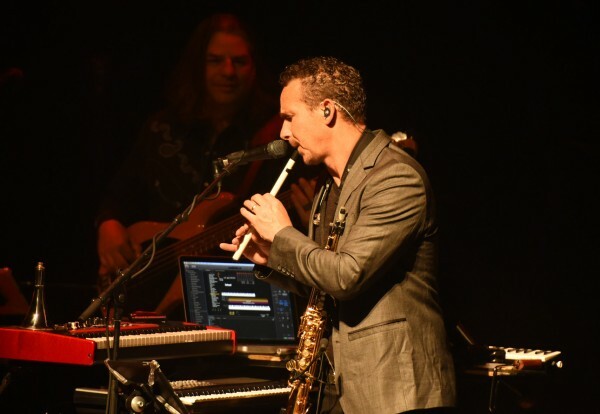 In his band some fabulous musicians: firstly we have Canadian Aaron Macdonald (sax, harmonica, flute, keys) who’s playing with Roger for over a decade now. 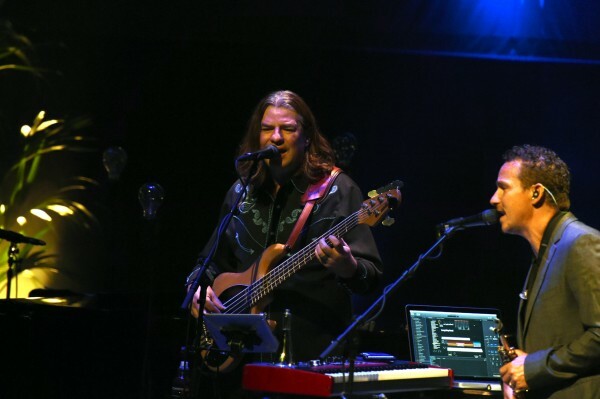 Then we have drummer Bryan Head, playing with Roger for around seven years and there’s also the American bass player David Carpenter who is playing with the band for some time now. Newbie is the Canadian keyboard player Kevin Adamson a highly demanded session musician. Even before playing one note Hodgson got a standing ovation from the audience when he entered the stage in Carré. An appropriate opening song, namely Take The Long Way Home, proved to be an excellent choice. Not only a superb song but it got things going right away and everyone was looking how Roger played and sang as in his best days. Now 65 years old but so full of energy, still deeply in love with music in general and rightfully proud of all his compositions, beautifully and convincingly standing the test of time. 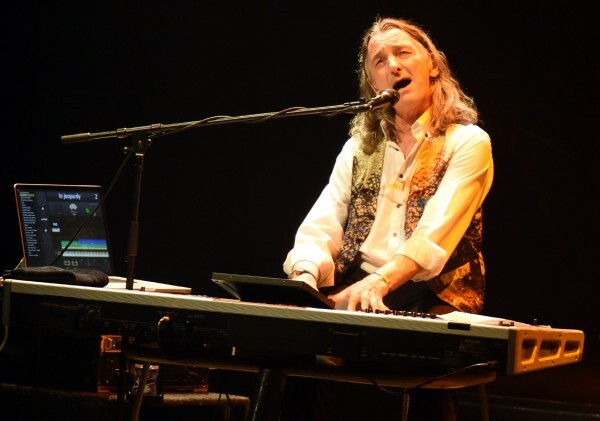 The man has got a vast back catalogue and one of the first songs becoming a huge hit in the seventies was the second song of the set list: School. Of course his solo career was to be highlighted as well and the first song from that era was In Jeopardy, taken from his million selling first solo-album In The Eye Of The Storm. 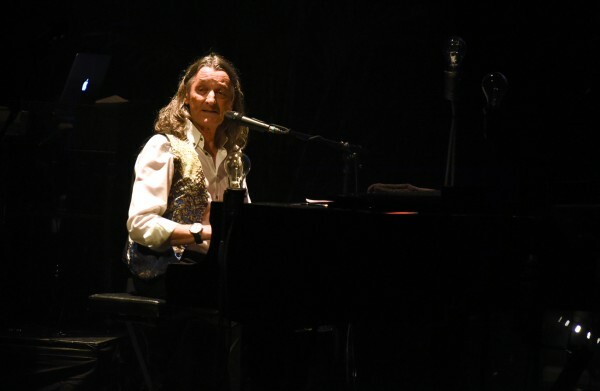 Roger explained how much Supertramp, Hodgson and The Netherlands were and are still connected because of the music. 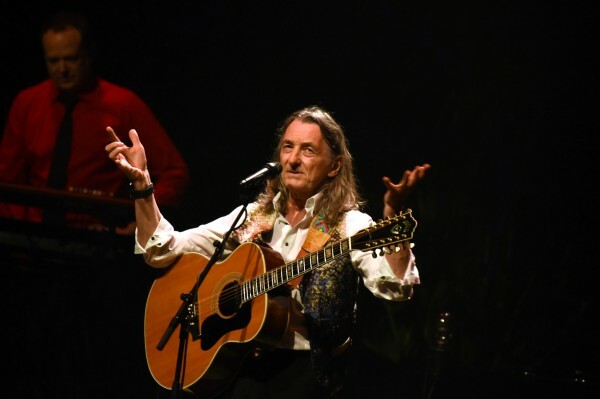 He stated he was so sorry it took him seventeen years to return to Amsterdam (last concert was in ‘De Melkweg’ in 2000) and he promised to be back again in April 2016. Folks, don’t bother because this show is already sold out! There might be still a few tickets left for the show in Rotterdam (Luxor Theatre) but these also will sell very quickly. Not only because Roger and his band played a superb rendition of Lovers In The Wind but the way he interacted with the audience and the true love he showed for his Dutch fans was appreciated dearly. 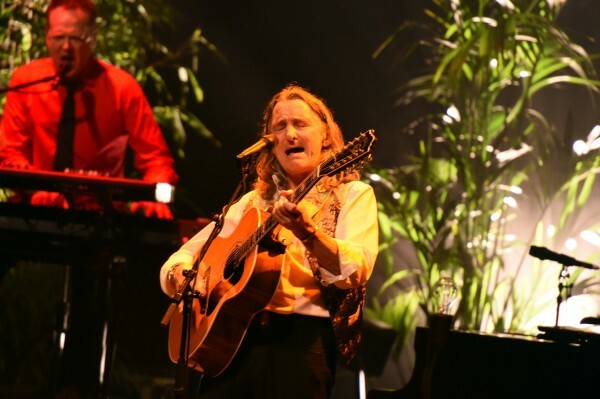 A successful song like Breakfast In America, which was written in his teens so Roger admitted, was one of the very many highlights of the evening. 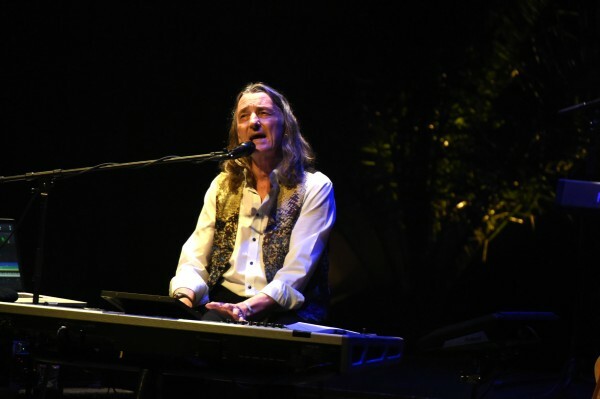 A tasteful light show on the stage, a really perfect sound quality and in my opinion many fans would have sworn they were witnessing a show by Supertramp in their heydays. I for one have always thought the very best songs by Supertramp were Roger’s and what a treat he gave all of us playing songs like A Soapbox Opera, Hide In Your Shell and Lord It Is Mine! In between a solo song namely Along Came Mary and rounding off the first half of the set the famous tune The Logical Song. 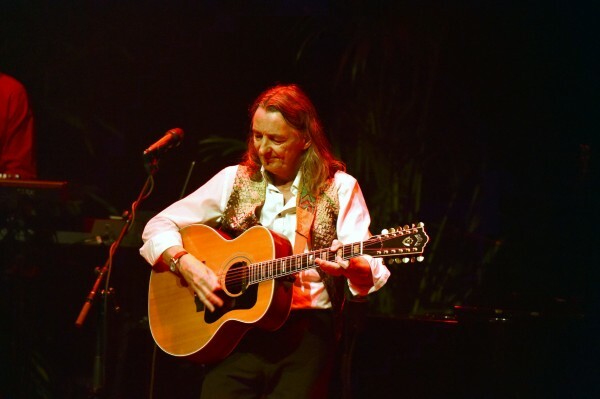 Roger played keyboards, twelve string guitar, acoustic guitar and grand piano. His vocal performance was exquisite all the way through, only remark might be he uses his falsetto instead of his normal high pitched singing as he used to do 10+ years ago. Great admiration for Aaron Mcdonald who played all kinds of flutes, saxes, harmonica and even occasionally a keyboard.. The close harmony singing was also awesome. Roger explained how his solo-album Open The Door never really got a lot of attention outside of France, where the album had been recorded. Maybe that’s why he played several songs of that album. After the break the trip down memory lane continued with Had A Dream followed by a really awesome version of Even In The Quietest Moments. As he told the audience, the song Only Because Of You had been a special request from longtime fans attending the show this evening. Child Of Vision was the intro for a song Roger plays live for some time, even in his acoustic set this tune was part of the set list: Death And A Zoo. The overture for the grand finale was If Everyone Was Listening and the whole hall was singing along to Dreamer and got goose bumps when Roger and his band played Fool’s Overture. Again a standing ovation, quite rightly so, was Roger’s share and of course he introduced the band when they played two outstanding encores: Two Of Us and the huge hit Give A Little Bit. More than two hours went by like a few minutes and everyone danced and sang along with the extra encore It’s raining Again. Fortunately that was not the case outside, in fact it was a nice autumn evening and I had been witnessing one of the best concerts ever. A straight A for Roger and his band and if he’s able to maintain this level of quality, I’m convinced many more people will be mesmerized by the music of Supertramp’s main driving force.